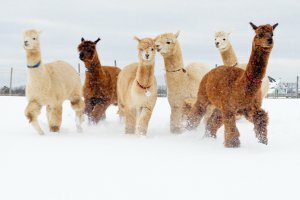 Print "Alpaca in the Snow"
Original Ivy Ashe Photograph (Signed) "Alpaca in the Snow"
Condition: NEW with Archival Framing. Note: Images below do not show matting. Shipping of framed photograph additional. We will call you with quote.